Australia's auction clearance rate has dug itself out from its lowest point after 2,894 auctions held across the combined capital cities returned a preliminary auction clearance rate of 66.5 per cent. Weaker performances in Melbourne and Sydney ensured clearance rates across Australia’s capital cities remained below the levels seen earlier this year and well below the same time last year. Sydney house prices slipped again while Melbourne's have remained flat, although more properties have gone under the hammer and the national auction clearance was higher than last week. 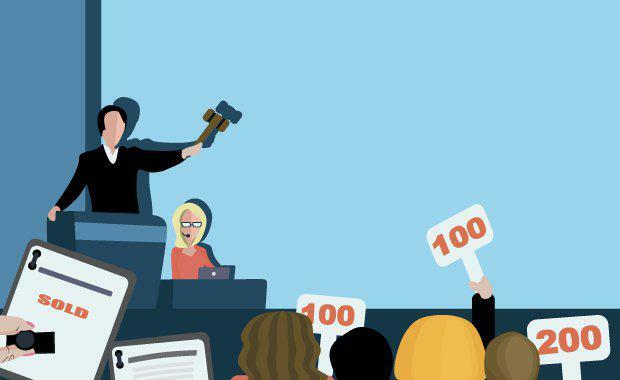 , Australia’s largest auction market, saw a preliminary auction clearance rate of 71.4 per cent across 1,299 auctions, down from last week’s final clearance rate of 74.3 per cent across a much lower volume of auctions (318). The inner-region of Melbourne held the most auctions this week (207), with a preliminary clearance rate of 66.5 per cent. Meanwhile, the strongest clearance rate was recorded across the west region with an 82.2 per cent success rate across 189 auctions. returned a preliminary auction clearance rate of 64.4 per cent, rising from last week’s 59.8 per cent, while one year ago 81.4 per cent of Sydney homes taken to auction were successful. Auction volumes decreased week-on-week, with 1,089 auctions held this week, down from the 1,232 held last week. The Ryde sub-region of Sydney recorded the highest preliminary clearance rate with 88.6 per cent of the 49 auctions held reporting as sold. The preliminary auction clearance rate across Brisbane this week was 45.7 per cent, down from 47.7 per cent over the week prior. Auction volumes were higher this week with 209 auctions held, up from 169 last week. Across the Gold Coast, 52.9 per cent of the 34 reported auctions were successful. preliminary clearance rate was 65.0 per cent across a total of 126 auctions, increasing slightly from the previous weeks 64.1 per cent across 129 auctions. clearance rate was up to 61.9 per cent across 39 auctions since the 48 auctions and a clearance rate of 44.1 per cent the previous week. Over the same week last year, the clearance rate was a lower 37.5 per cent, and 43 auctions were held. In Canberra, 125 auctions returned a 72.9 per cent preliminary clearance rate. Last week, 148 auctions were held and the clearance rate was a lower 66.7 per cent. Over the same week last year, 97 auctions held and a clearance rate of 76.2 per cent was recorded. Last week marked the clearance rates' lowest point, reaching 61.5 per cent of the 2,045 auctions cleared which was the lowest reading since early 2016.